However, you can also create a homepage yourself! In this article, we will show you examples of both. Every homepage has a block in the header. Make use of this block for writing a welcoming text and uploading a nice sphere image. 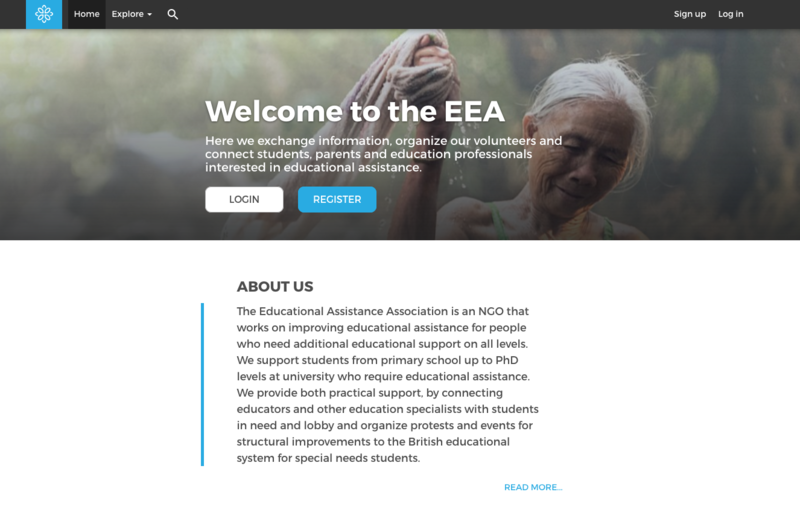 The homepage block contains two call-to-action buttons which you can use to point the user to specific places (registration page) or to highlight news or other important content. instructions how to change this can be found here. 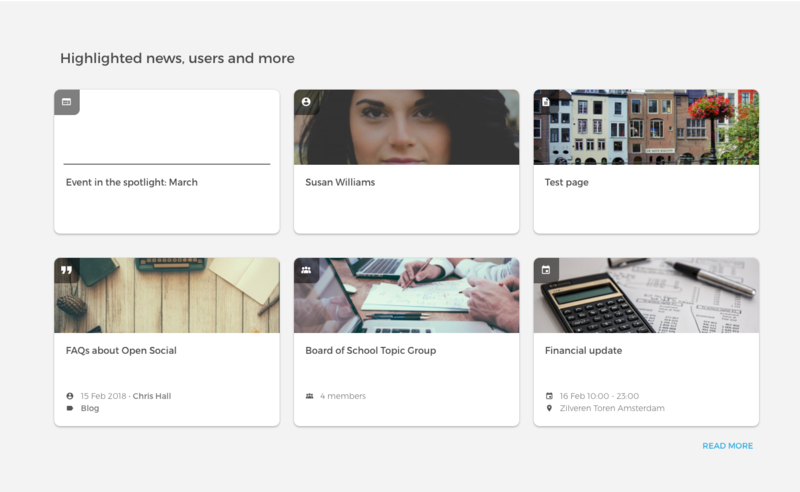 The default homepage for logged-in users contains their personalized stream, which shows the newly-created content of the groups they belong to. This page cannot be configured. Or... create your own homepage! 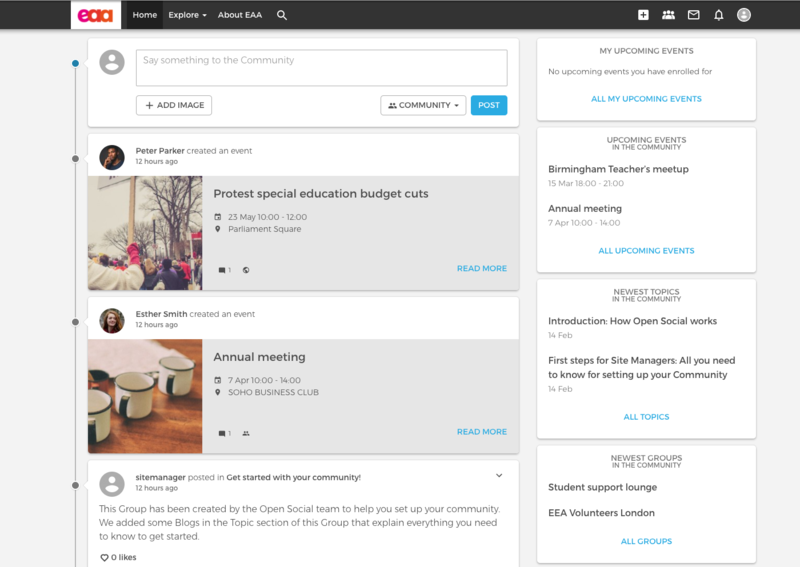 Open Social allows you to either use our default homepages or create your own, personalized homepage for visitors and logged-in users. Some communities want to show a stream of latest community content to visitors but others and communities may want to highlight certain content on the homepage, for example. In Open Social, you can basically choose to have ANY page on the site as your homepage. The best functionality to use for this is the Landing Page. The Landing Page allows you to create a nice page using the different sections, and you can choose to add a stream and side blocks to it. 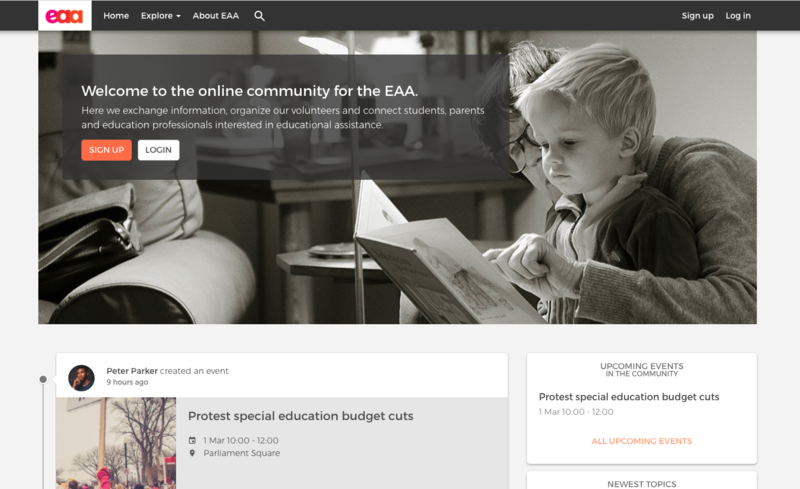 If you are running a community that is open to everyone, we advise adding the stream on your homepage for visitors. 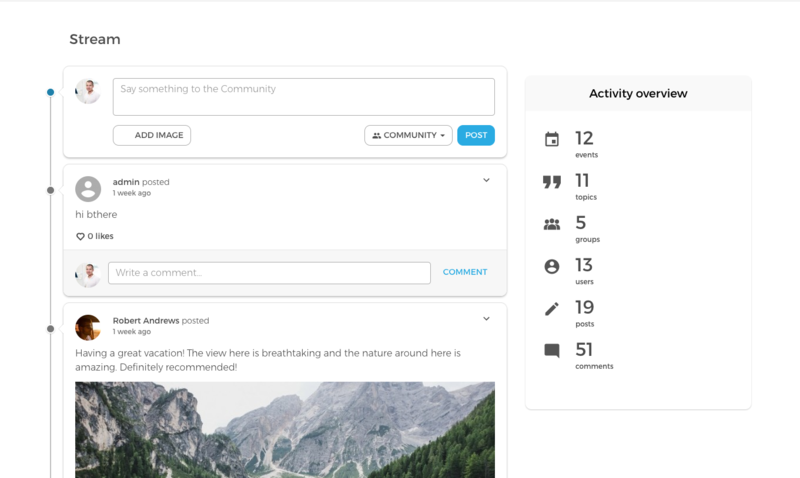 This provides visitors with a peek into the community and shows how active it is. If you don't want to show what is happening inside the community, then we advise setting-up your own homepage that better suits your goals. You can create a homepage for both visitors and logged-in users or you can choose to create two separate ones for each. Click here to read in detail how to set an alternative homepage.